There are 21 posts in this thread, and it has been viewed 29359 times. * Multiple runs as training is of course allowed. Also if you manage to surpass your previous score then just post it and I'll update the first post. * State which platform you played this game on. * The goal: Highest score possible. 2. skytraveler: Score: 61,800. Stage: 2-7 (Goldfish from Hell). Played on: NeoRage. Very first go so this score will end up getting smashed! Been a long long time since I last played this one! Scoreboard and hall of fame are updated. I had a few games and here's my best score. Not exactly an amazing score but hopefully I can improve. Really fun game, although I did get more than a little irritated on the imprisoned Bomberman-guys that more than one time killed me by cornering me with a bomb. The Idea is for them to help you once freed. Is there no interest whatsoever to challenge us in this game? I just had another go. Not very impressive but at least it's an improvement. I did get some hits on the boss but lost in the end. I never knew you could ride on top of the big bird and pull eggs along behind you. I wonder what the eggs are for? By the way nice score Priest! Why don't you give the game a try on an emulator RiKo? Then you too can ride on the big bird. skytraveler: Score: 61,800. Stage: 2-7 (Goldfish from Hell). NeoRage. Anyway thats a good score. Have you played this game much, skytraveler? Scoreboard, hall of fame and medals are updated. Fairly often. 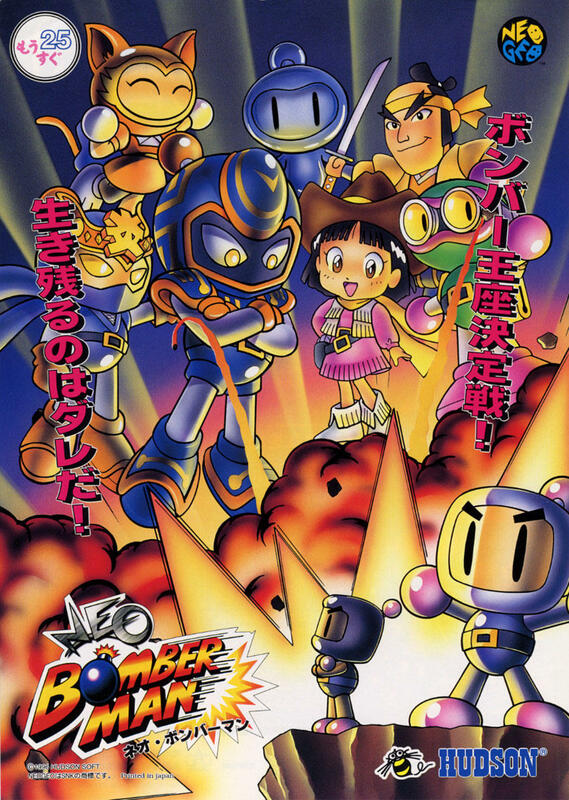 It's pretty nostalgic for me, not for its own sake so much as I used to play a lot of Bomberman on the NES back in the 80s. I lost track of what stage I was on. IGNORE THIS POST TOO, SEE POST BELOW. Nope I was wrong above. It was on stage 3 somewhere. This next one is on stage 4 somewhere. I only played it again so that I could get the input recorded for submission to TG and I ended up going further... so I may play this one a bit more. I need a break from Magician Lord it's making me angry.